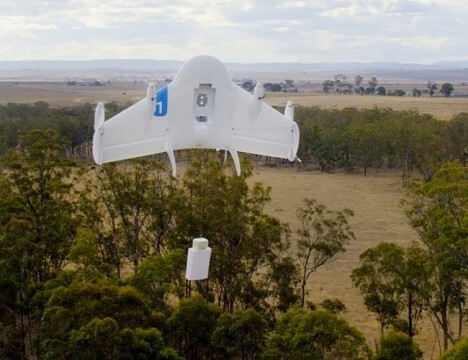 Google sees Amazon’s Prime Air drone delivery service and raises it with the enhanced aesthetics of its own Project Wing, a series of autonomous aerial vehicles currently being tested. In development for the past two years and a secret until this week, Project Wing was initially conceived as a way to deliver emergency aid like defibrillator kits to people in remote places or disaster areas. Now that the prototype vehicles have been tested (in Australia, which is far more lax about the use of drones than the United States,) it seems that they could be used to deliver goods to customers in a similar way to Amazon Prime Air, as well. 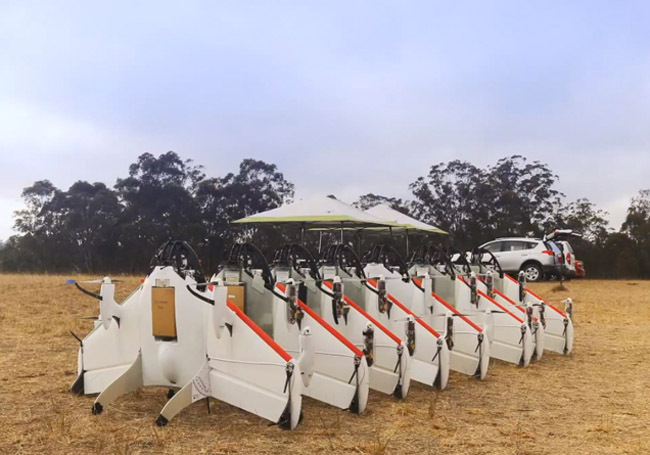 Developed by the company’s research arm, Google X, the Project Wing drones have a wingspan of about 4.9 feet and a total weight capacity of 22 pounds, the bulk of which is taken up by the drone itself at 18.7 pounds. It doesn’t need a runway to take off or land, and can hold its position hovering in one spot. Looking like tiny blunt airplanes, the drones are at least a visual improvement over Amazon’s design, which was mocked for resembling a flying barbecue grill.